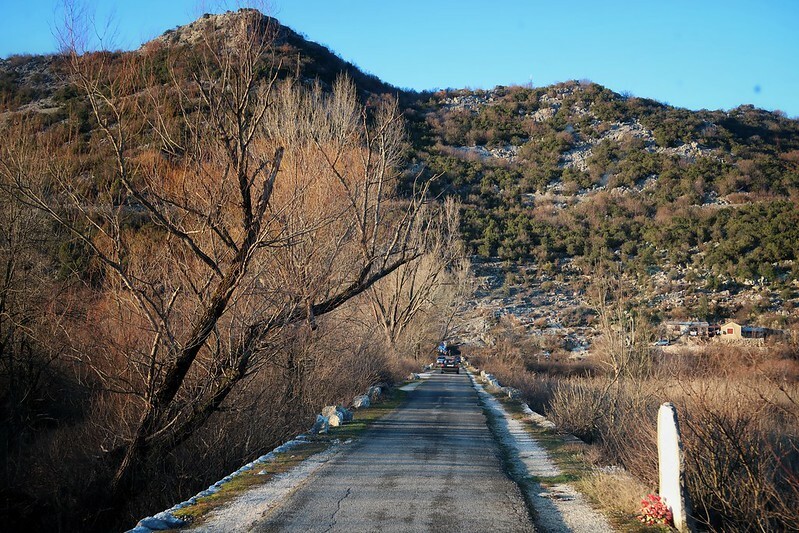 Mali Mish – Driving inland to Camp Podkraj in Virpazar, Montenegro. 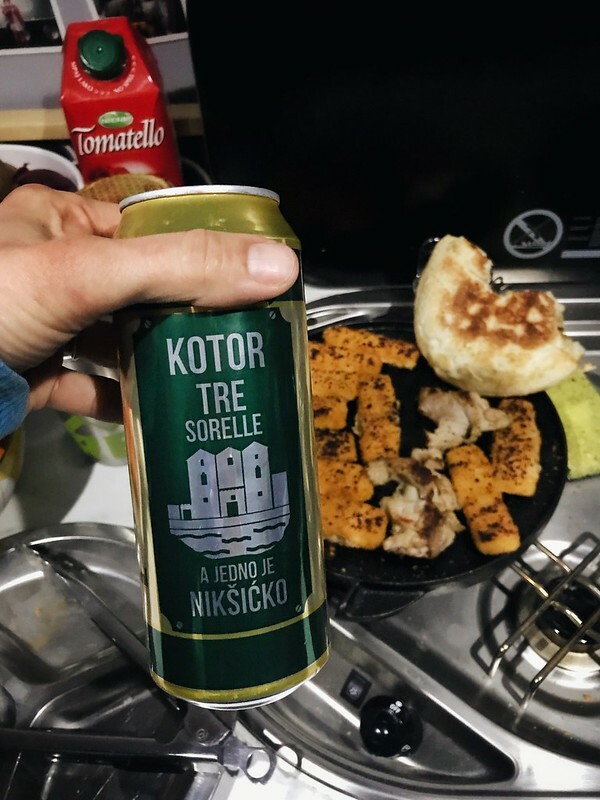 We left the town of Kotor after a weeks stay with loose plans to head to the next ancient fortified city down the coast. 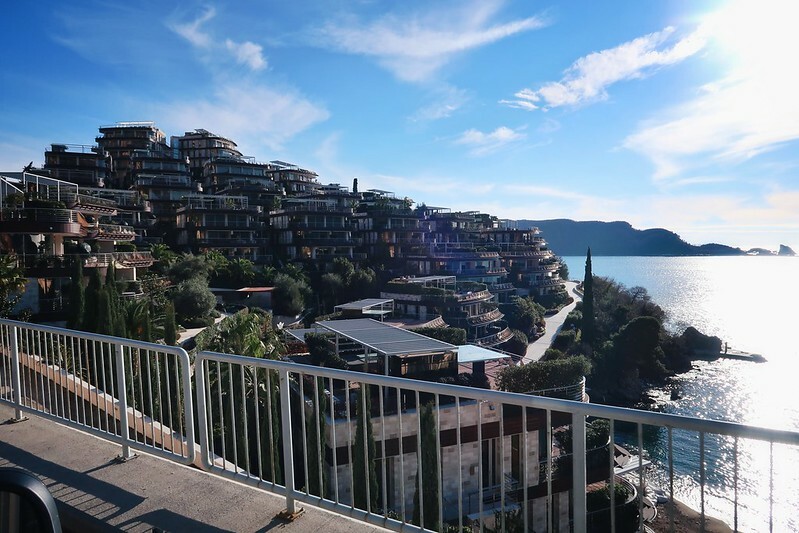 As we drove into the town of Budva, we noticed the density of new construction and towers and then decided we weren’t in the mood for a busier touristy town after our quiet week in Kotor. 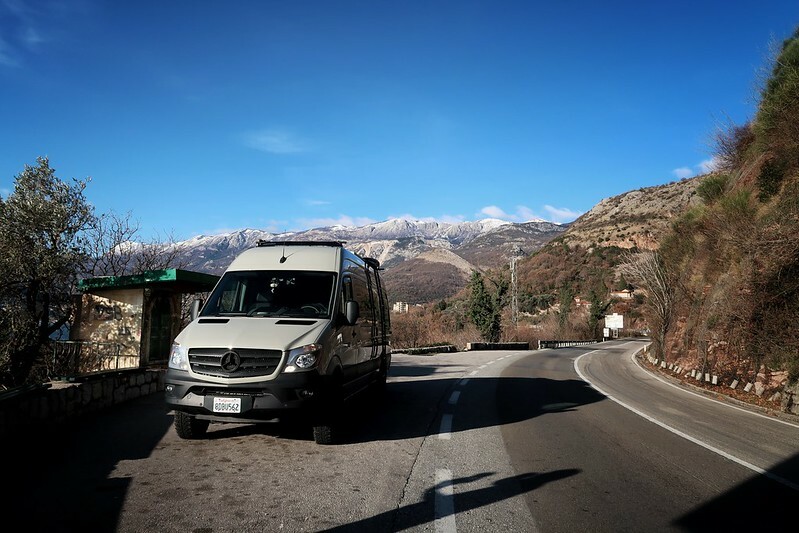 So we kept driving, pulling off the road to enjoy the views when we noticed large enough spots for our Sprinter. The pull offs were usually bus stops. 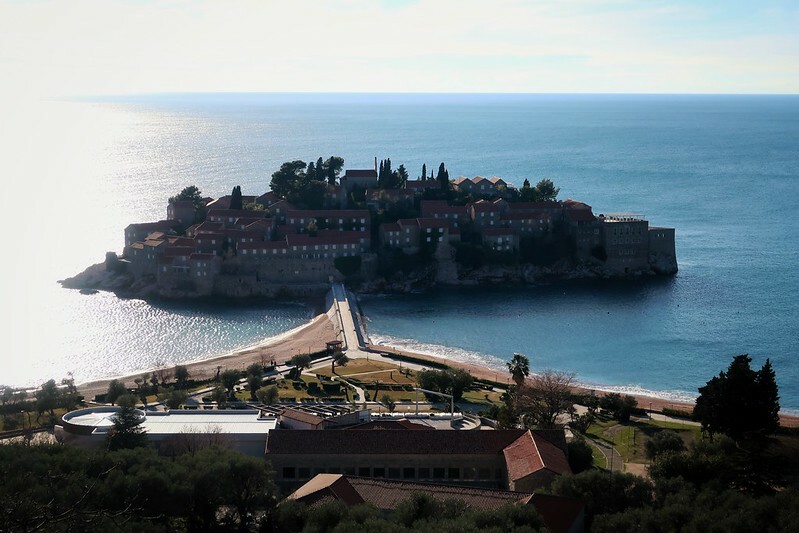 A photo of the beautiful Sveti Stefan (Saint Steven) islet. 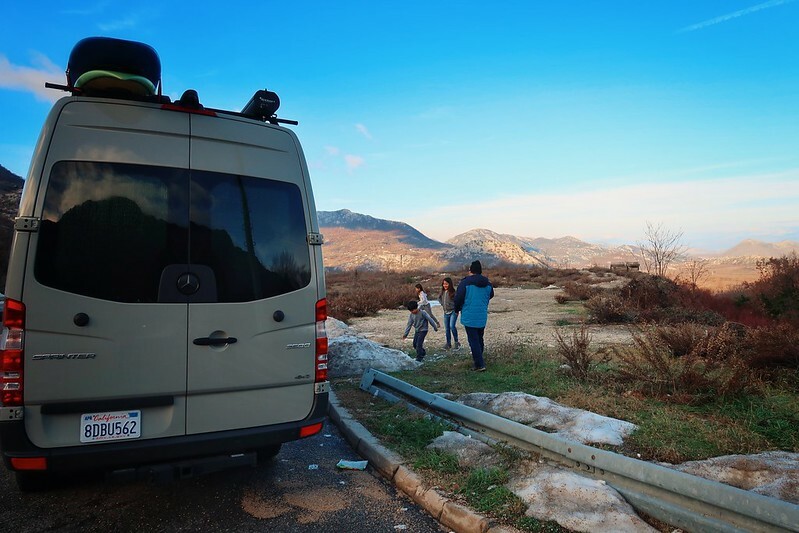 We decided to head east towards Lake Skadar National Park. The road took us through a long tunnel with a toll booth at the end of it and dumped us on the other side of the mountain where the kids screamed in delight. SNOW! Dirty snow is still snow. Haha. 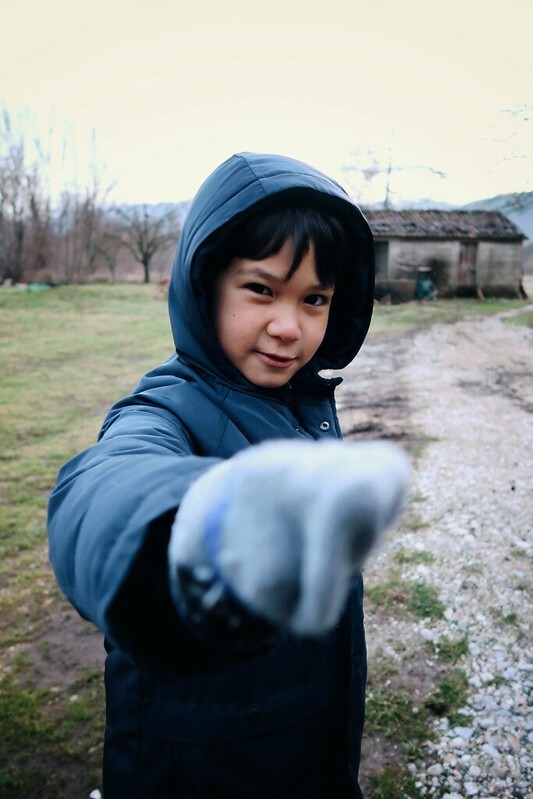 A few day ago I made contact with the host from Camp Podkraj in Virpazar, Montenegro. While I was browsing the Park4Night app on my phone, I noticed that this campground has a lot of comments and they were all so positive. 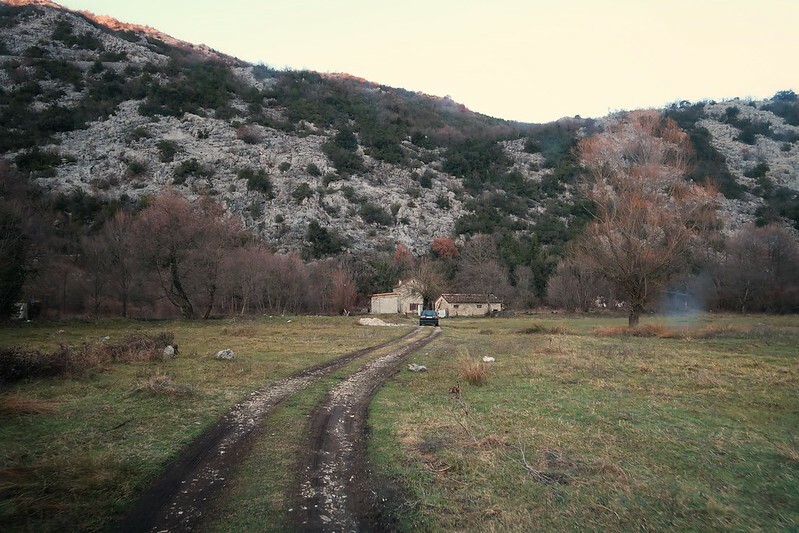 Our host met us off of the main road and led us through narrow dirt roads still soaked by last night’s rain, across small homemade bridges and parked us next to his childhood farmhouse. 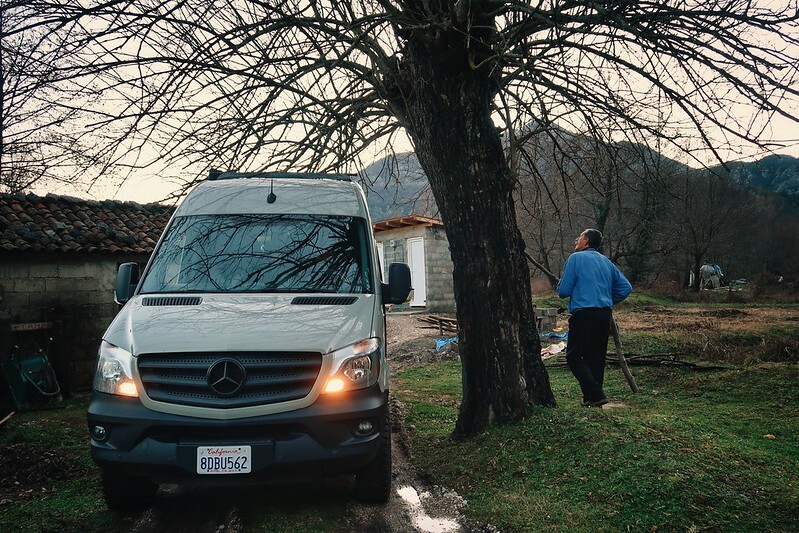 Our Sprinter is a little taller than most Sprinters due to being a 4×4. No problem. We drove under their tree slowly as the host trimmed branches as needed. In the summer when it’s warm and sunny and everything is in bloom, campers park or pitch tents on the large grassy fields to the right. 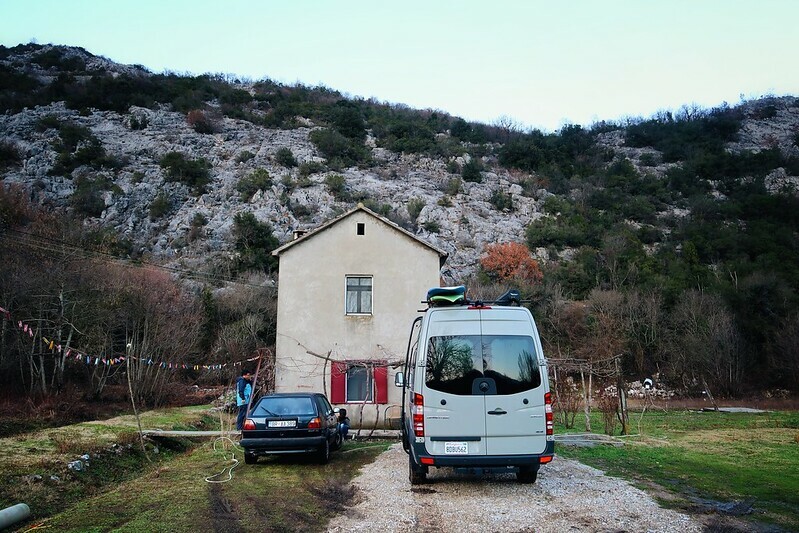 But since we are here during the wet off-season, we parked on a gravel patch next to their farmhouse. 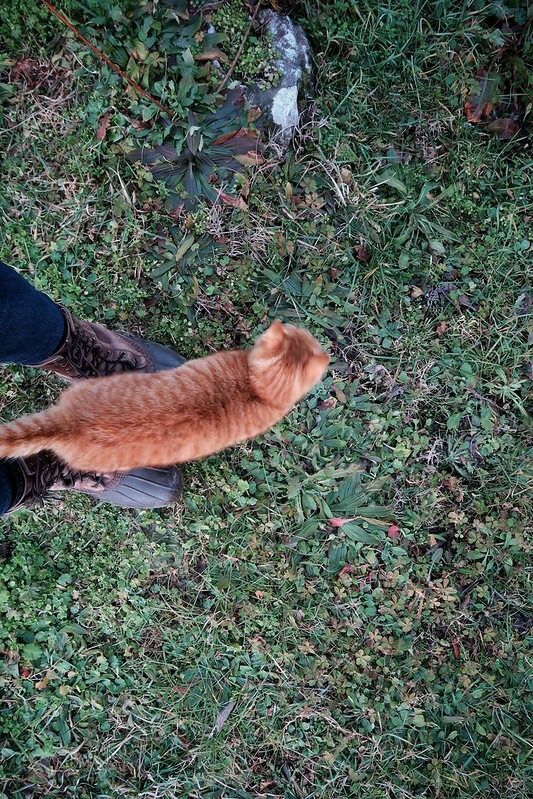 As soon as we got to the camp spot, we were greeted by one of their three farm cats. 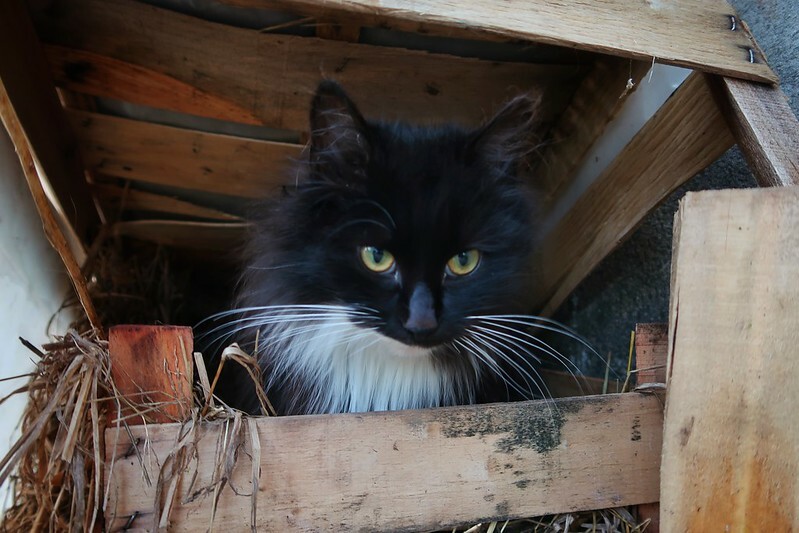 The orange was the friendliest by far but this black and white eventually warmed up to us. On the hill portion of property, there is a small old abandoned village that we will get a free tour of during our stay. 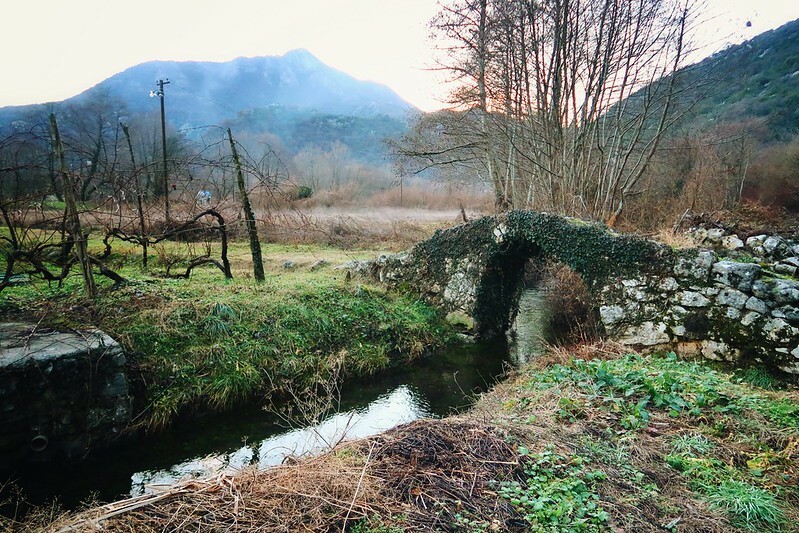 But on the main part of the farm, a lovely stream runs along the property and it even has a 2500 year old stone bridge on it. So amazing. 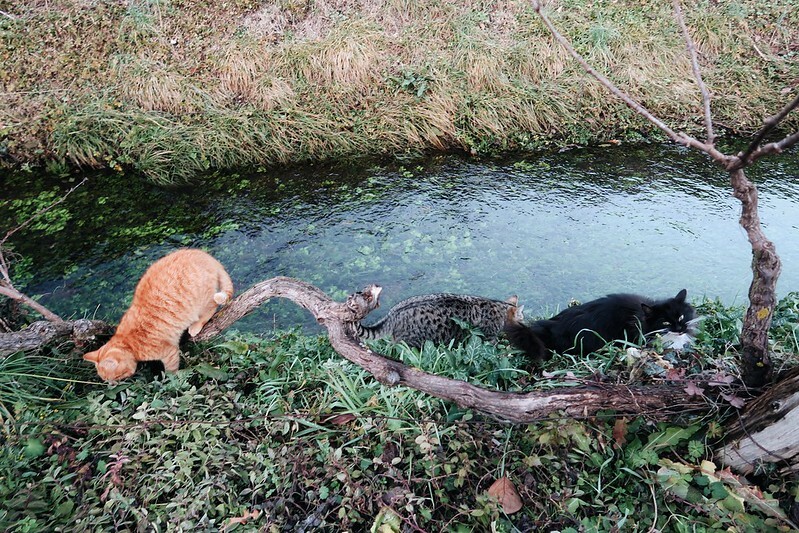 All three cats enjoying the clear cold water from the stream. One of the hosts pulled a small fish from his net in the stream and the kids watched as he set it free again. 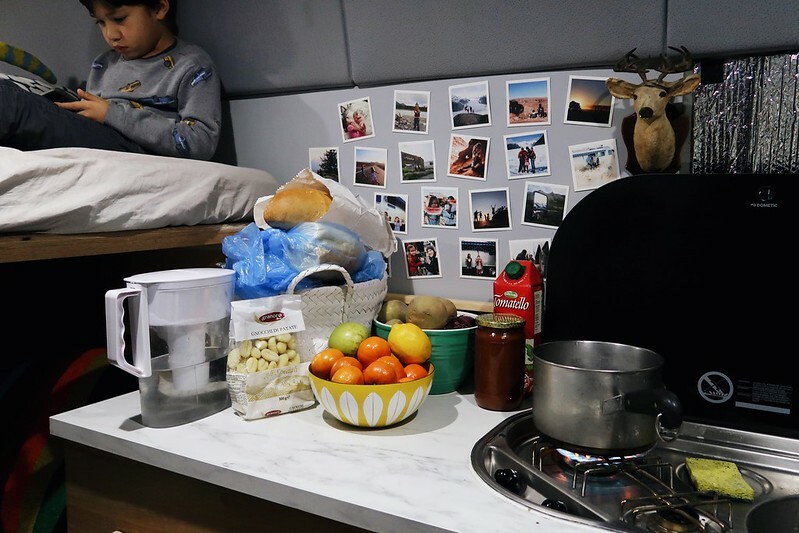 We’ve been doing a lot of free boondocking (wild camping) in parking lots or dirt lots so far in Europe so it is nice to be in a place where the kids can run freely and I don’t have to worry about them too much. 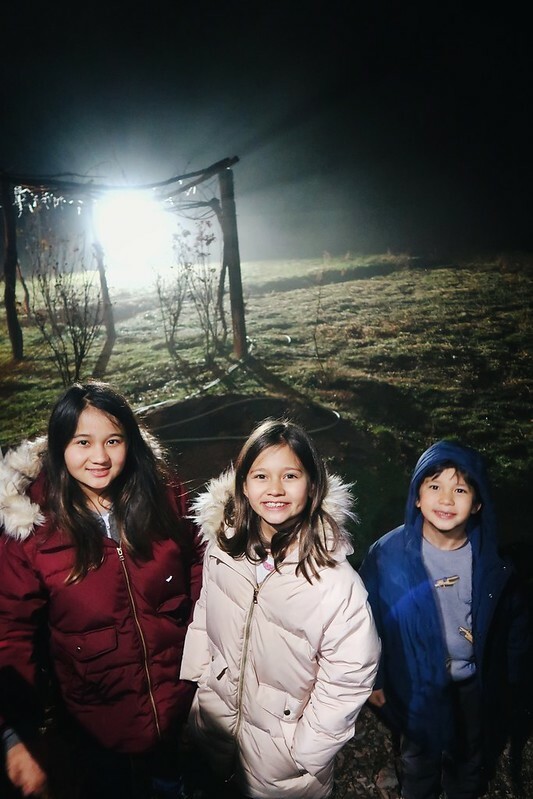 The campground is adding two brand new bathrooms for camp guests for this summer but in the mean time, we have full access to the bathroom in their house. Cold hands? No problem. 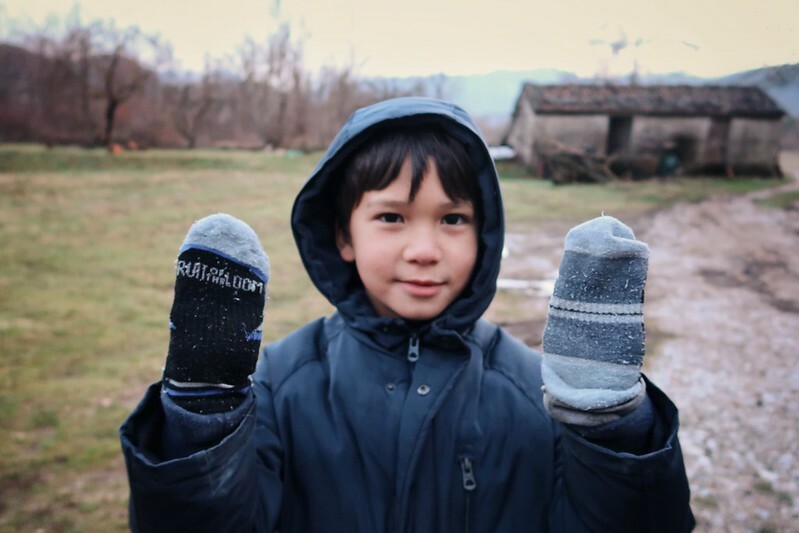 Socks to the rescue. 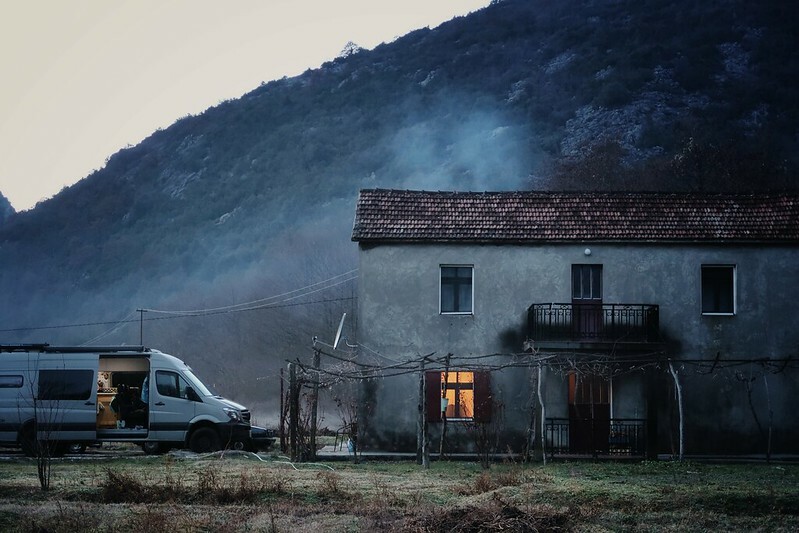 There is something beautiful about the muted colors of winter in Montenegro. 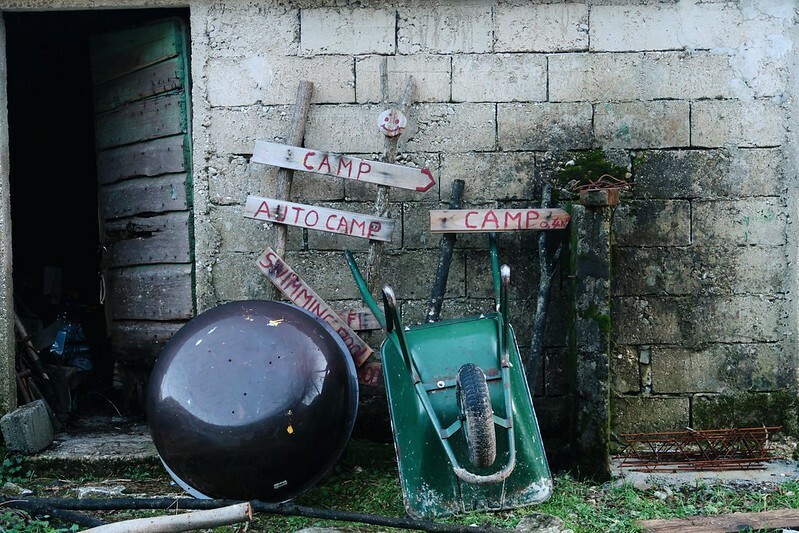 So glad to have chosen this place as our first campground we’ve stayed at in Europe. 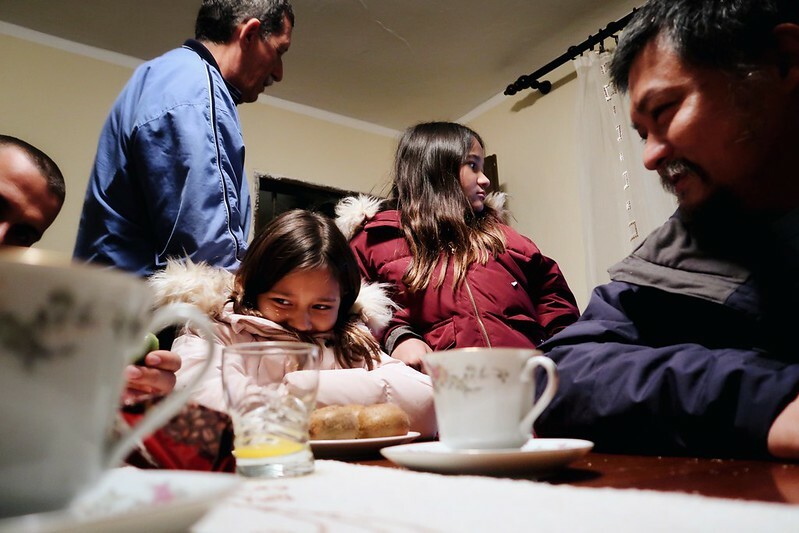 After we got settled, we sat around their dining room table, swapping stories as we sipped coffee freshly made on his wood-burning stove. 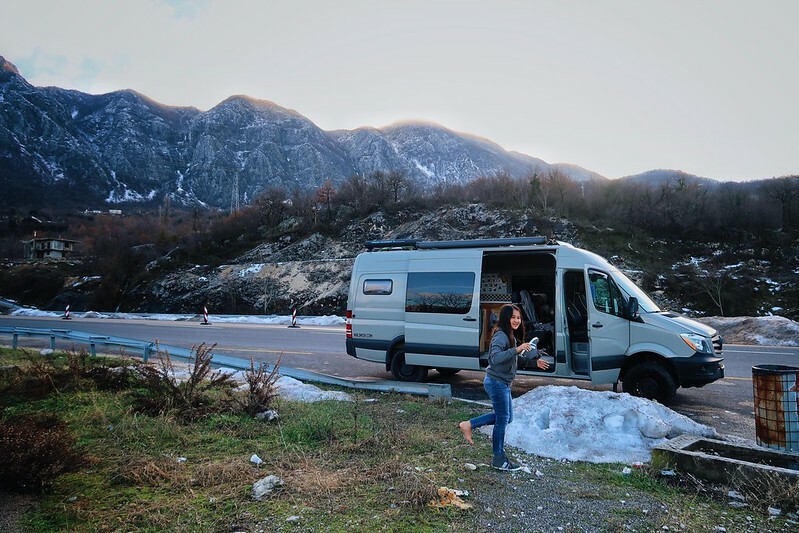 We usually avoid campgrounds in the US, but maybe we won’t in the smaller towns of Europe. Especially if the kindness we felt here is the norm. 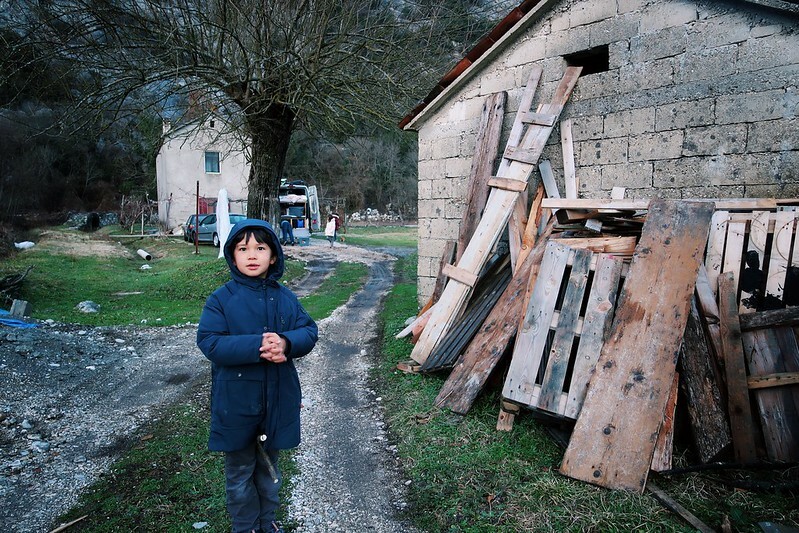 We didn’t expect to have such authentic experiences like this after we left Croatia. 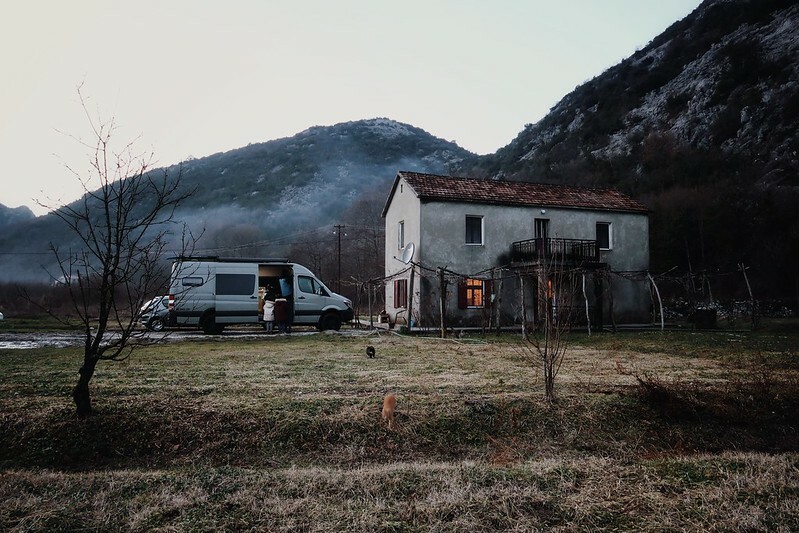 We were spoiled to have friends, family and local homes to stay in and people to tell and show us how real people live in the country while we were there. 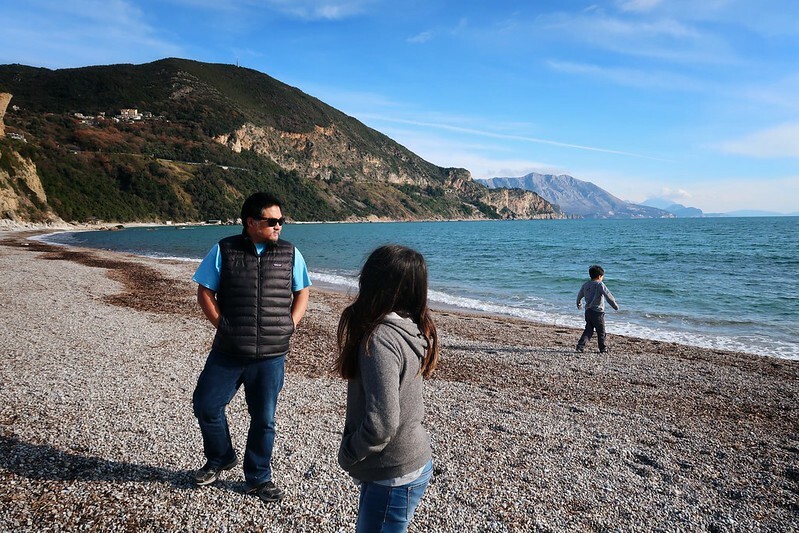 The couple of nights we got to spend with our hosts in Virpazar, Montenegro was a real treat. Alright. It’s time to make dinner. And maybe drink a beer or two.